What do sleeping puppies and purple fish have in common? Can you solve the Puppy Puzzle? Discover all the secrets of Push Pups Today! 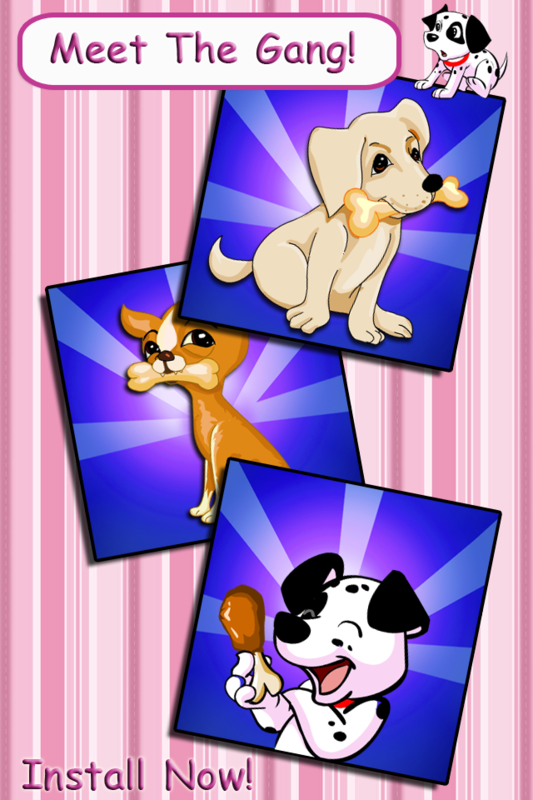 Push Pups is a CUTE and ADDICTIVE puzzle game featuring THE cutest puppies known to human kind. The goal is to get Max the Dalmatian from one side of his comfy doggy cushion to the other so he can enjoy his favourite toy bone! 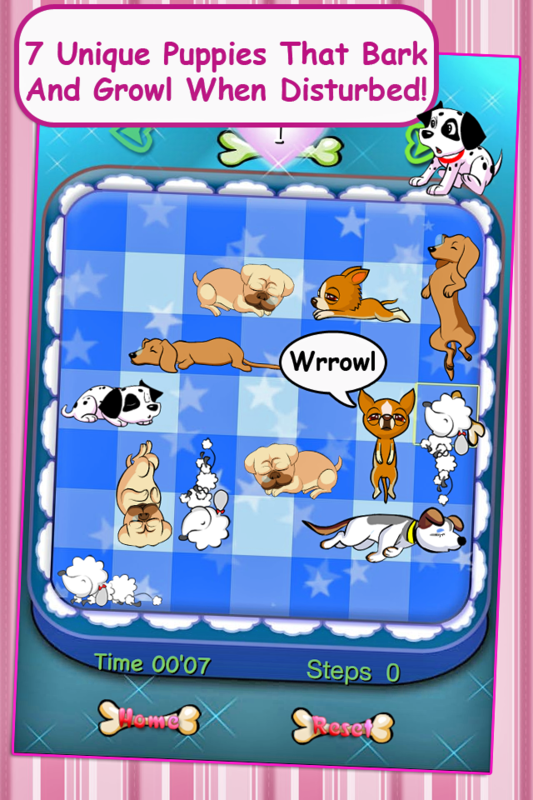 If you tap the Sleeping Puppies 3 times or more they will growl and bark, wruff wruff! 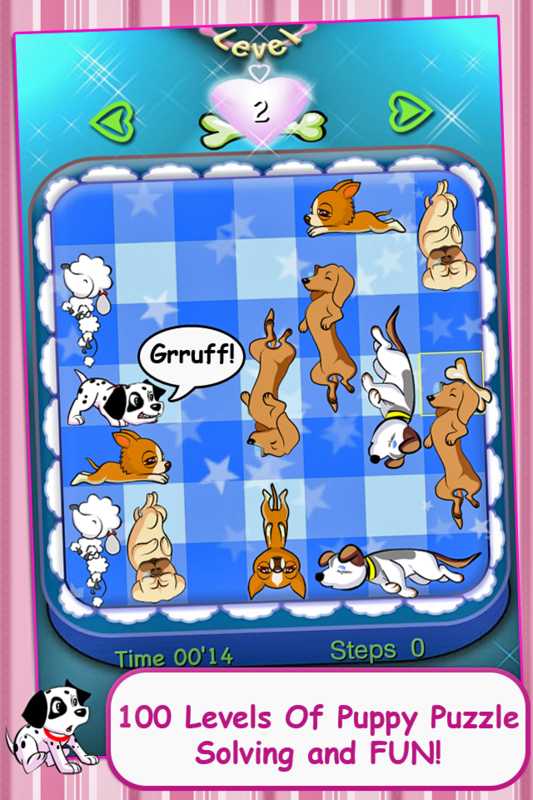 Push Pups comes with 100 levels to challenge and entertain you! ♦ Super Scooby Snack Scoring System! So what are you waiting for, install now and Push Some Pups! P.S Did I mention there are PUPPIES!